Longtime piano teacher Patricia Rolston passed away on March 11 after suffering from a stroke on March 2. Right up until her final days, Patricia Rolston continued in her lifelong passion; inspiring young people to experience the joy of playing music. 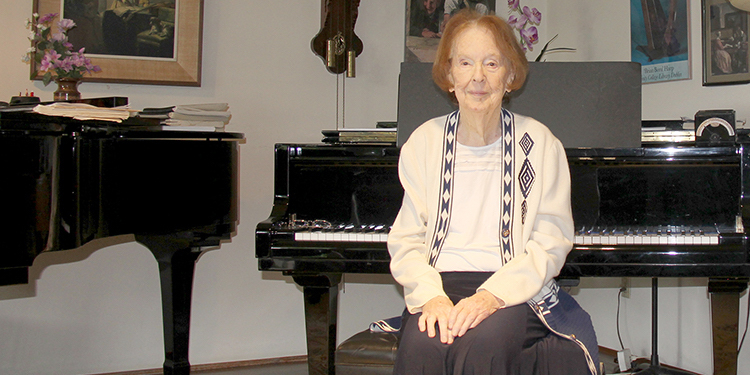 The longtime piano teacher passed away on March 11 after suffering from a stroke on March 2. She leaves behind a loving and musical family, and a large community of students and colleagues who were blessed by her contributions. Rolston retired from her role as the principal of the Richmond Music School in July 2018, after nearly three decades at the helm of the institution, but continued to maintain a busy teaching schedule at her private studio. The educator taught with a deep sensitivity to the individual needs of each of her students, while expanding one of Richmond’s largest and longest running music schools. Through affordable programs and lessons, such as the Outreach Violin program, Rolston sought to make music widely accessible for the community. At the same time, she instilled a high level of excellence in her students with annual events like the Concerto Concert and the Scholarship Competition. The Richmond Music School and Rolston’s family are planning a concert in remembrance of the influential teacher, which is scheduled for late May or early June.